After field testing and editing, we spent hours watching, analyzing and comparing the original video footage from each camera. The cameras were rated based on six different criteria: full-HD video quality, audio, high-speed video quality, low-light video quality, value and ease-of-use. Then we averaged the results for each camera to get the final ratings you see on each individual POV camera summary page. Based on the needs, purposes and budgets of different kinds of cyclists, here are our picks for the top 2015 POV cameras. GoPro is still the one to beat. 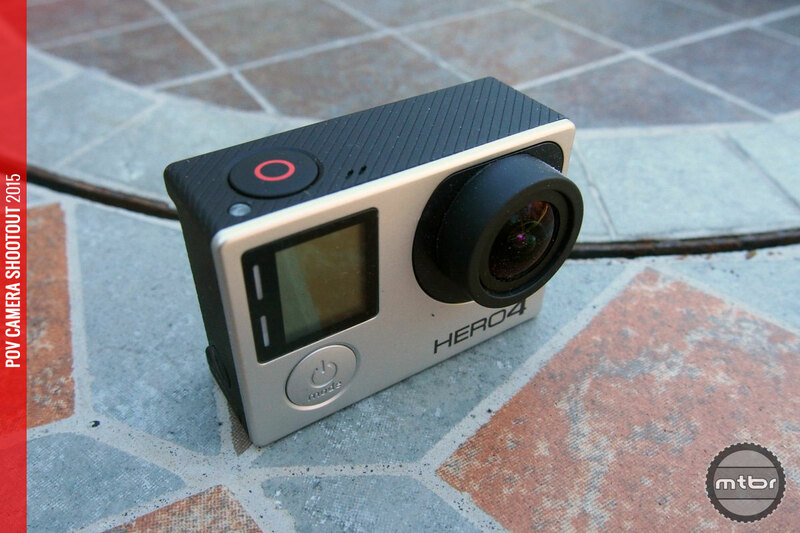 The GoPro HERO4 Silver is the sweet spot for most cyclists and action sports enthusiasts. It offers the most options, the best video quality, the best native mounting system, and the new touchscreen LCD display is a great addition. One caveat, though: If you’re thinking of buying a GoPro HERO4 Silver and aren’t planning to use Protune, you’re throwing your money away. If you really want to use the GoPro to its full potential, you have to use it in Protune mode. If you aren’t going to use Protune and put in the extra time editing, buy something less expensive because you won’t be getting true GoPro quality. High-end performance in a compact, aerodynamic package that sells for just $250, making it both a value and performance leader in this test. Although the GoPro is our pick for best overall POV camera, when you factor in cost, the Sony comes out on top. 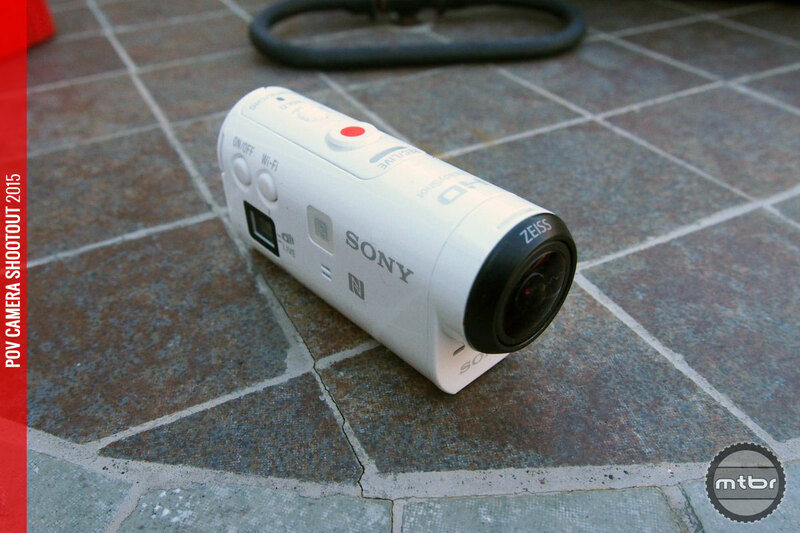 Sony has come a long way since the first Action Cam and they’re GoPro’s only real competition. The Sony Action Cam Mini‘s video quality is very close to the HERO4 Silver, it’s compact, has built-in image stabilization and costs $150 less. Sony and GoPro are both leagues ahead of the other cameras in this test when it comes to video quality. Just make sure you use the Sony in Pro mode if you want the best video quality. If you aren’t recording in Pro mode with Sony’s XAVC S video format, the quality won’t be that different from the other cameras in our test. And if you do choose the Sony, we highly recommend investing another $100 in the wrist-mounted Live View Remote RM-LVR2. It’s far easier and more convenient than using the Mobile app on your phone and makes using the Action Cam Mini a breeze when you’re on the trail. Tiny, simple to operate, and features wireless ANT+ and Di2 connectivity. 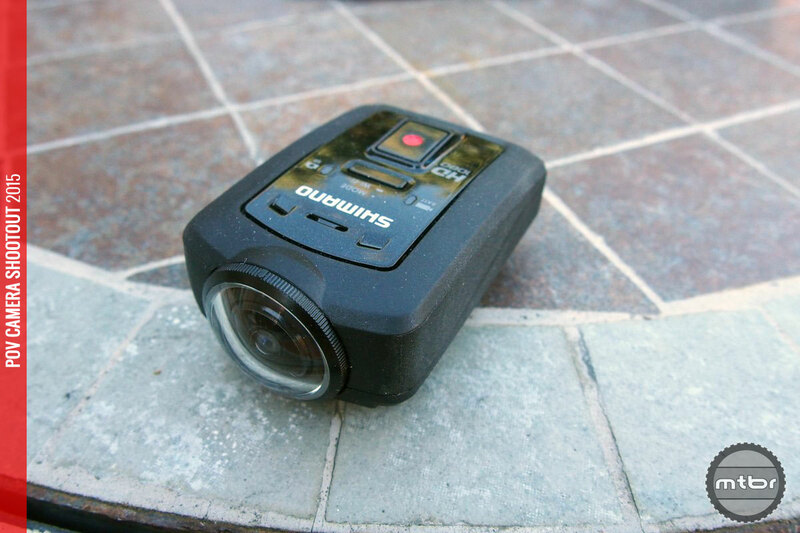 Although the Shimano Sport Camera didn’t impress us with its performance, the simple recording interface and tiny, light, waterproof construction make it perfect for cyclists who simply want to document their rides. Put one on the front and one on the back of your bike, press record when you start your ride, and you’ve got no-penalty video footage of hillbillies throwing beer cans and road rage sideswipers. The Garmin Virb offers solid 2-in-1 functionality. Ratings don’t always tell the whole story and video quality isn’t the top priority for everyone. If you’re a habitual ride date tracker and want to add a POV camera to the mix, you can combine the camera and Garmin GPS into one easy-to-use device. Garmin’s video quality isn’t the best in our shootout. But it’s as good or better than most POV cameras from just a couple of years ago. And you’ll save weight and simplify your cockpit by using the Virb Elite instead of using a separate Garmin GPS unit and a POV camera. Over the Edge bike shop manager Clayton Coleman, in a frame grab from the final 2015 POV camera shootout video. A split image made from two frame grabs taken from the same point in our POV shootout trail video. 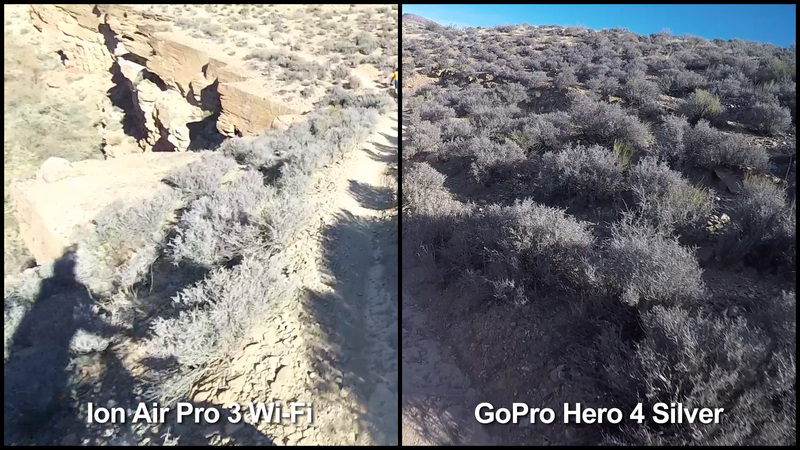 Notice how refined the detail is in the GoPro Protune footage (right). 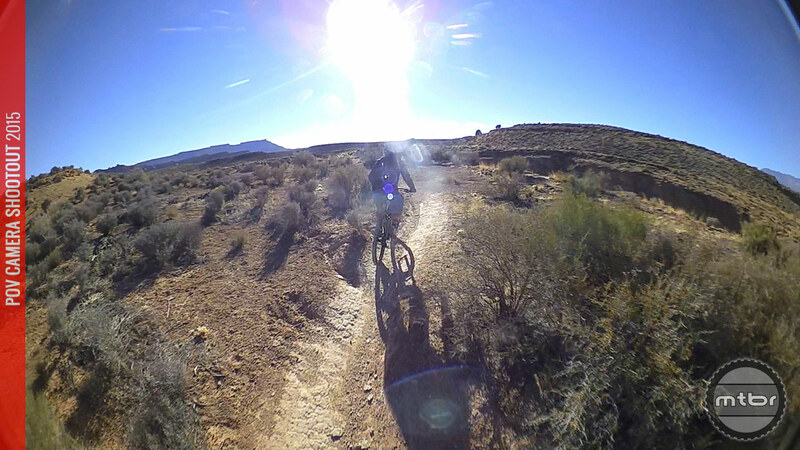 A frame grab showing sun flare from the Shimano Sport Camera’s 180° lens. A tunnel test frame grab, as our POV cameras respond to the changing light and adjust their exposure to show the mountains and sky. Rowdy the Clown frame grab from the high-speed, slow motion portion of our 2015 POV camera shootout video. John Shafer, a.k.a. Photo-John, is a respected photography expert and adventure photographer. He’s been an Mtbr forum member and contributor since 1999 and you can find his writing and photography across the Web, in mountain bike magazines and on his own Web site, Photo-John.net. John loves big mountains, rocky singletrack, low-visibility powder days, 6-inch trail bikes, coffee and tacos. Look for him pushing his bike uphill, carrying an inappropriate amount of camera gear in an overloaded backpack. 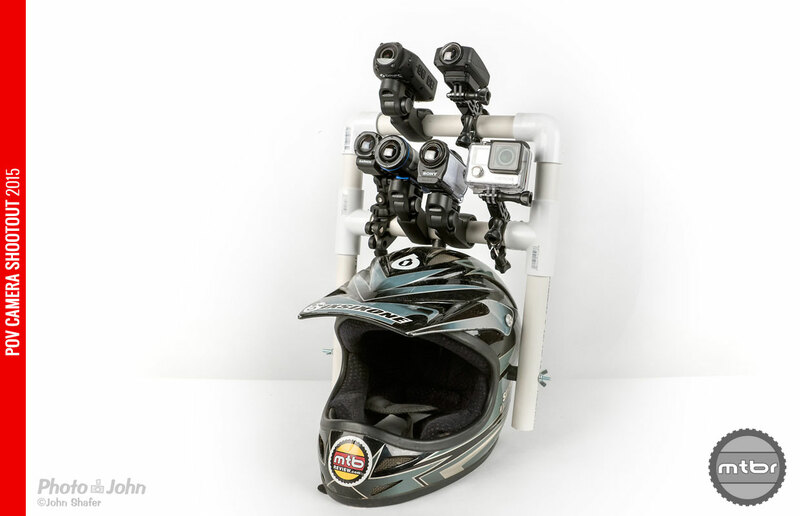 I like the multi camera helmet mount contraption, but that trail he took the cameras out to test them didn’t have much for us to see. There was like two colors, brown and brownish-green. He didn’t ride through any trees or by any grassy fields or colorful bushes, there were no rocks on the ground, no moss, no stream crossing so we could see how they handle glare, no blue water… nothing, just brown. Would be nice to see how these cameras handle some colors and high speed through some trees. Can’t get a good idea of the definition and detail from that trail. Need more differnces in exposure as well. That tunnel test kind of showed us how they handle light changes, but taking them in and out through some trees on a sunny day would give us much more info on the camera’s abilities to handle light that changes back and forth quickly. Also, what about some chunk so we can see how they handle some bumps? Great idea with the helmet and quality cameras, but testing them on that trail is like testing the handling and speed of sports cars on a straight road in a school zone. Living in the Pacific Northwest, which is the best for rapid alternating between sun and shade? I have to say, on my computer monitor they all look about the same. That’s what the tunnel portion of the shootout was for, Sean. Contour+2. Where was it in the test? 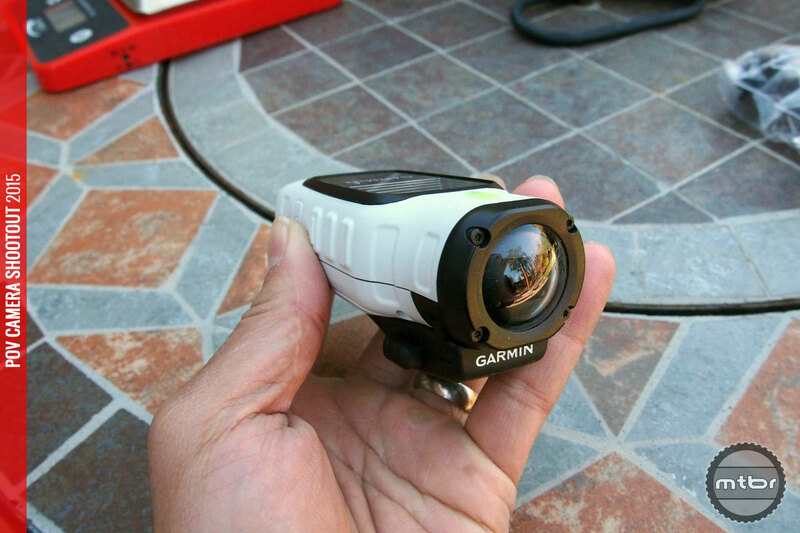 Rotating lense, laser pointer/view finder, GPS, 1 function on/off record button, etc. There are many out there.. but I”m surprised the Contour was not a part of the test. Great article, very informative, nice work!! So many other small companies trying to get in the market, JVC has been to Interbike and failed, and this last year another company came to I.B. with what they claimed was absolutely better in every way than Go Pro. Won’t mention any names, obviously they weren’t even enough of a contender to be in the shootout. So much for R.O.I. for that show… All in all, it sounds like the Sony is the best bet to elevate the marketplace here, and when they win, we all win! Good to see some real competition to the GoPro. I figured Sony was just going to do what they normally do(introduce a subpar product to the segment, and sell units based on their brand reputation alone), but sounds like a real competitor. When it comes to cameras, Sony isn’t messing around. That goes for their POV cameras, their camcorders, their P&S cameras, and their interchangeable lens cameras. They have a great camera team and I’m really happy with how well the Action Cam Mini performed in this test. This is not an apples to apples comparison. The Sony used in this test is the mini with lower specs than the HDR-AS100V. In terms of functionality the Sony HDR-AS100V blows the GoPro out of the water. Why not include the JVC this year? Is it old tech now compared to the others? In previous tests, it came up close to the GoPro. That’s not really accurate. In the last POV shootout we did, I said the JVC was the easiest camera to use. But the video quality was actually pretty poor compared to the other cameras in the test. Great article. I have an early IonPro and was rooting for it to win, but after being objective with what I saw in this article, I think my money will be going somewhere else for my next sports camera. I love the quality of the GoPro, and I know it is the one to beat, but I just don’t want the big box on my helmet – the round cylinder is the better design from a purely object based perspective. I do think the competition is producing some great advances and I love it! Should have tested the JVC Addixxion 2. So easy to use and great quality, smokes everything you tested except gopro. Was the sony in Pro Mode on the trail or not? Seems a bit soft…as noted. So much effort and you failed on the most important point: has any of these a *frame* buffer, rather than the usual toyish line buffer?